This pair of peacock shaped minakari earrings features the finest specimens of traditional art forms such as minakari work and pachi works, which makes the Read More..piece such a treat to the eyes. 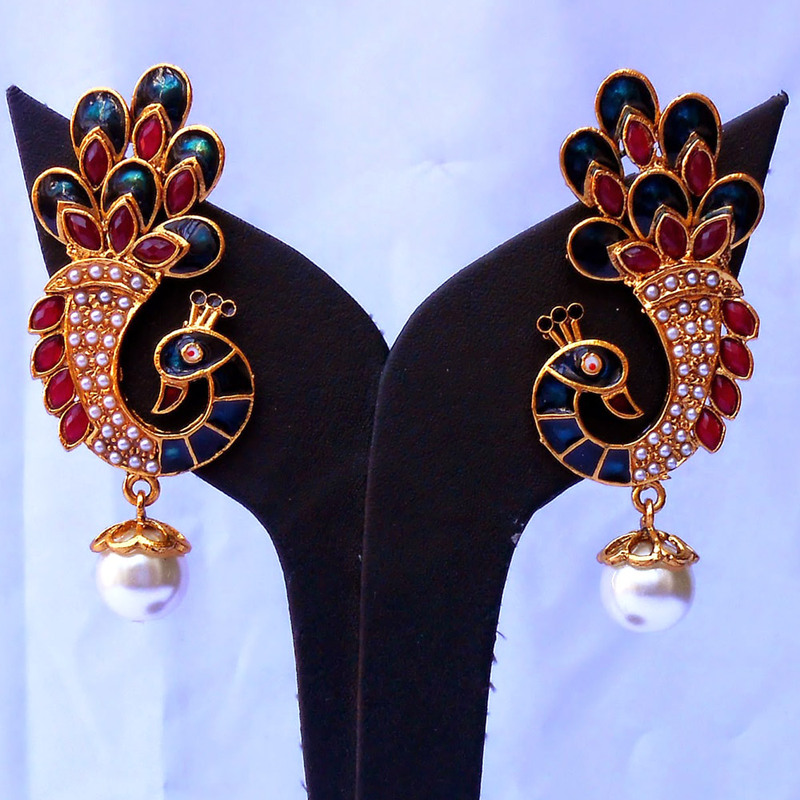 The whole body of the earrings mimics the form of a peacock with the mina work providing the rich colors for the body of the bird. Moreover, a large pearl hangs from the gold plated brass casing to provide a dramatic touch to the earrings. Thus, this pair of earrings is bound to provide a dash of color and glamour to the overall appearance of its wearers. Show Less..